>What do you do when you are feeling stressed, overwhelmed and under-effective? I usually cry and feel sorry for myself. Sometimes I bake. 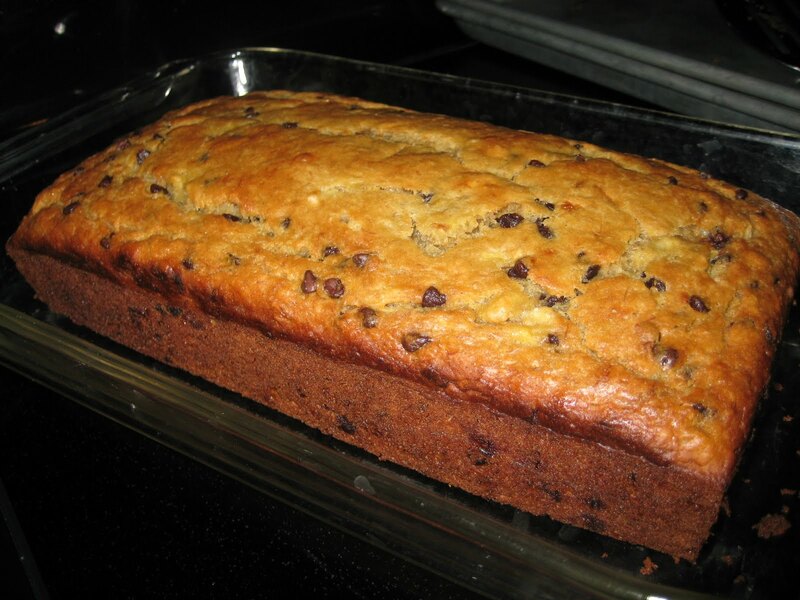 Chocolate Chip Banana Bread…this recipe is so good, and it uses apple sauce instead of oil and not too much butter, so you don’t have to feel bad about the chocolate chips! Here is a picture of my loaf, cooling on the stove. Yes, it was a particularly rough morning, so along with the Chocolate Crinkle batter I have chilling in the fridge for later, I also made these awesome cookies. My friend Jessica from work passed this recipe on, and I made them today, though I am not a walnut fan so I used pecans instead (YUM!). I am thinking I may stick some in the freezer for Christmas Eve dessert, if not, they will surely be eaten quickly! Preheat oven to 350˚. In small bowl, stir together ½ cup brown sugar, sour cream, and cinnamon until smooth. Stir in chopped walnuts; set aside. In medium-sized bowl, with electric mixer at medium speed, cream butter and 1 cup brown sugar. Add egg and vanilla; beat until light and fluffy. With mixer on low speed, gradually add dry ingredients, beating just until smooth. Divide dough into quarters. From each quarter into 6 equal balls; place balls 2 inches apart on ungreased baking sheets. With fingertip, make a wide, round depression in the center of each cookie, reaching almost to the edge and leaving a rim. 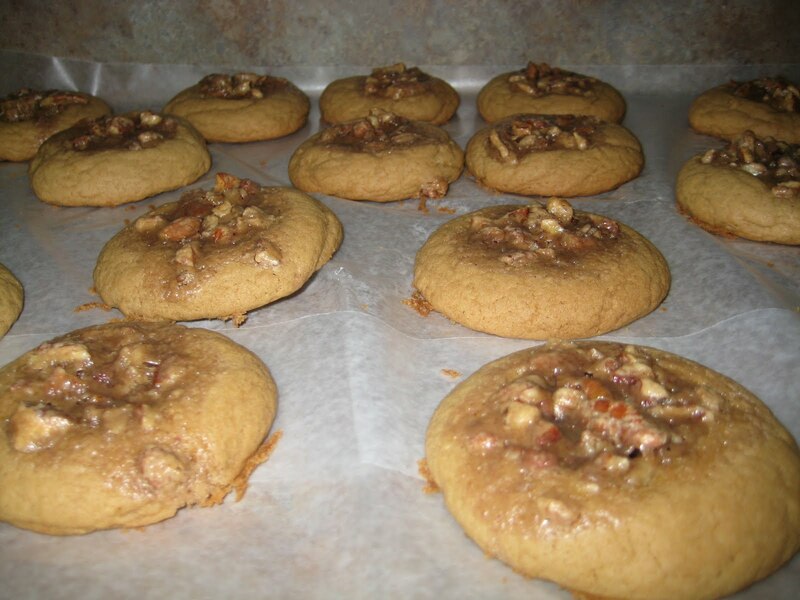 Fill depressions in cookies with walnut mixture, mounding above the rims. Bake for 15 to 20 minutes or until filling is set. Cool cookies on wire racks. Garnish each cookie with walnut half, if desired. >Those both look SO delicious! !